On 31st December the first season of urban open air video gallery called Video Wall ended. From 24th October on there had been video projections looping every day from 17-24 o’clock on a half wall in the end of Židovska street in Ljubljana, Slovenia. 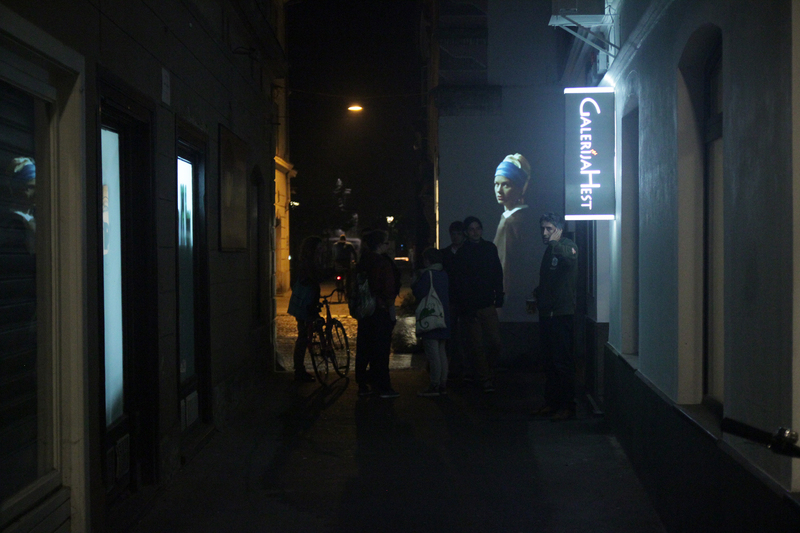 With kind help of Galerija Hest and bar Roža the Video Wall had new video launched every second Thursday. It all started with my interactive video version of Vermeer’s Girl With a Pearl Erring, where also the idea of an urban video gallery arose from. Valerie Wolf Gang’s Drink Coffee with me in Venice was the second. Then Noemi Veberič Levovnik’s States and Dunja Danial’s Direction-Free. 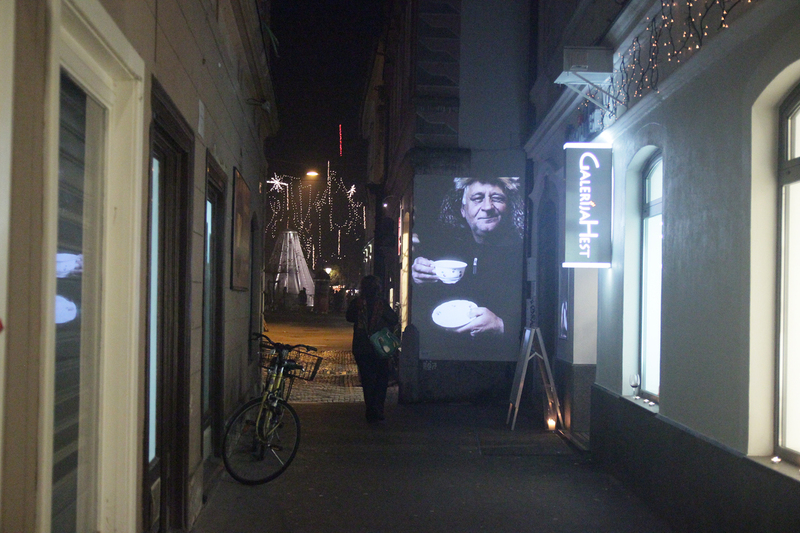 For finalle we had a video wall version of awarded film Coffee by Urška Djukić. 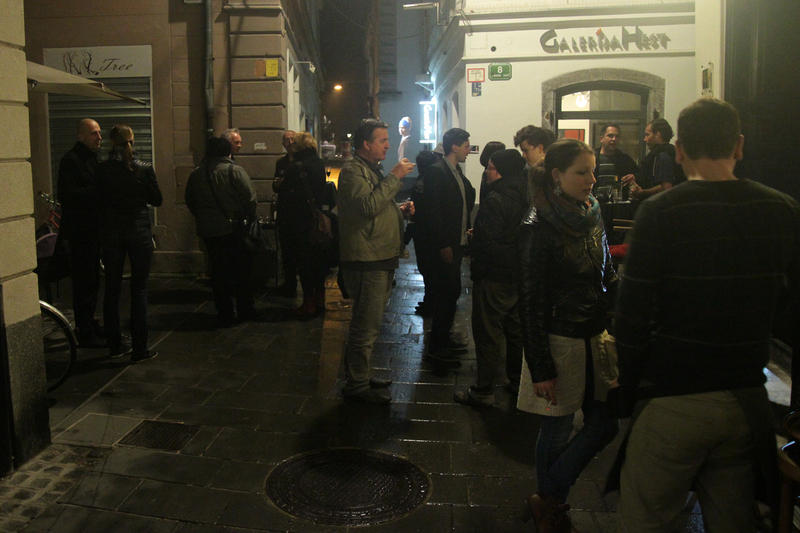 Project was supported by the City of Ljubljana and realised within the new association for video artists FamulVideoLab, research unit of KD Galerija GT. For credits and text in Slovenian read VideoZid_2013.